A luxury nature retreat offering superb outdoor recreation and outstanding cuisine. An unparalleled place for relaxation and outdoor adventure, Trout Point’s 100 acre wooded estate borders the Tobeatic Wilderness Area and the pristine waters of the scenic Tusket and Napier Rivers. Enjoy canoeing, kayaking, river bathing, hiking, and the outdoor barrel sauna and wood fired hot tub. Trout Point is inspected and approved by Conde Nast Johansens, the sole international luxury travel guide. It is also a member of the Small Luxury Hotels group. Its two gourmet restaurants, serving fresh local organic produce and seafood provide a unique dining experience as well as the hotel being worthy winners of an award of excellence from Wine Spectator magazine. 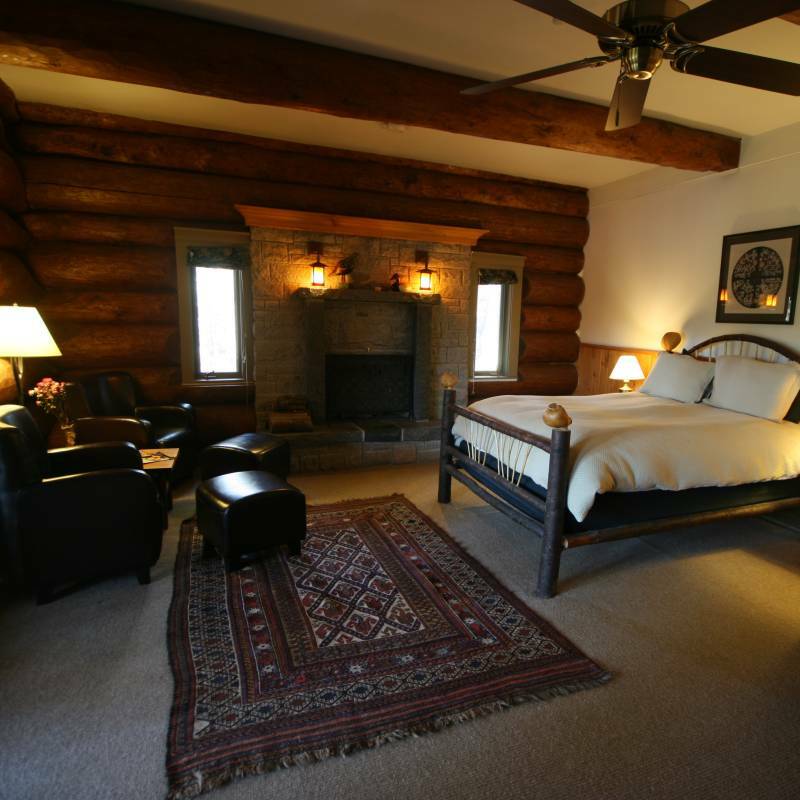 Main Lodge: 7 junior suites (400+ sq. ft.) & 1 suite (700+ sq. 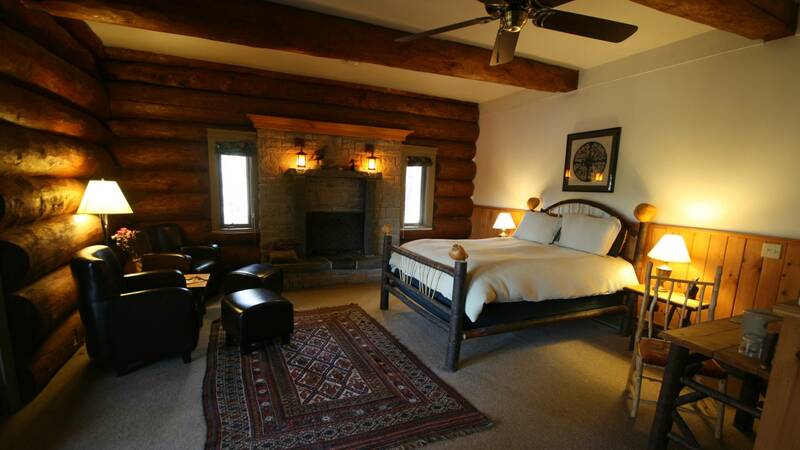 ft.) all with river views, log walls, handcrafted furniture; some have balconies and a fireplace. No Televisions or WiFi. 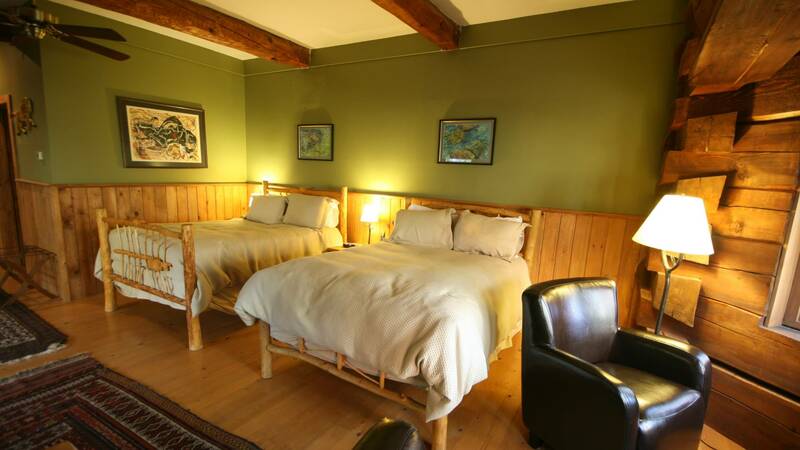 Black Bear Cottage: 2 bedrooms. The downstairs has a queen bed, closet, and en-suite bathroom. The upstairs has 2 double beds, an en-suite bathroom and TV w/ DVD player. There is a living room with a leather sofa, satellite TV, CD player, and desk. A full kitchen, deck, and sun porch complete the scene! Situated in one of Canada’s most stunning and unspoilt environments,Trout Point adheres to eco-friendly standards while providing the most luxurious accommodation and fabulous food. Be at one with nature, but surrender none of the creature comforts that make a great holiday.